Driven by strong sales in most months, new-car sales in Taiwan totaled 423,829 units in 2014, up 12% from a year earlier (378,456 units sold) to set a 9-year volume high since 2005 (around 500,000 units sold). 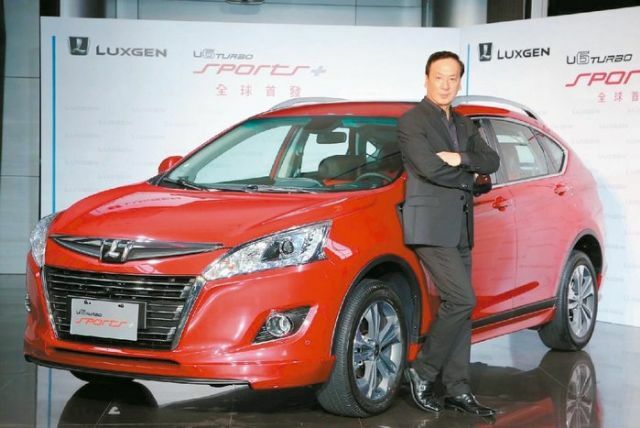 Most auto vendors and distributors are optimistic about continuing rise in demand in 2015, with Hotai Motor Co. Ltd., the local agent of Toyotas and major vendor in Taiwan, said its new-car sales in January, 2015, are expected to outstrip 50,000 units, increasing more than 10% from about 44,000 a year earlier. In 2014, Hotai led with a market share of 32.9% (33.6% in 2013) by selling 139,240 new cars to retain its No. 1 position for the 13th consecutive year, with six models being top-10 best-sellers on the island. Yulon Nissan Motor Co., the Nissan agent, trailed in the second spot to take the highest ranking in the domestic market for the first time in the past 10 years by replacing affiliate China Motor Corp. (CMC), the local assembler and agent of Mitsubishi. Yulon Nissan sold 47,741 new cars, the highest annual volume for the company since 2008 to win a market share of 10%. Imports RiseA noticeable trend in the 2014 Taiwanese automobile market was a 32% market share won by imported cars (136,000 units sold), the highest in 13 years, with Mercedes-Benz, BMW, Lexus, Volkswagen (VW), Audi, and Volvo hitting record sales volumes on the island to enjoy obvious sales growths in the local new-car market. 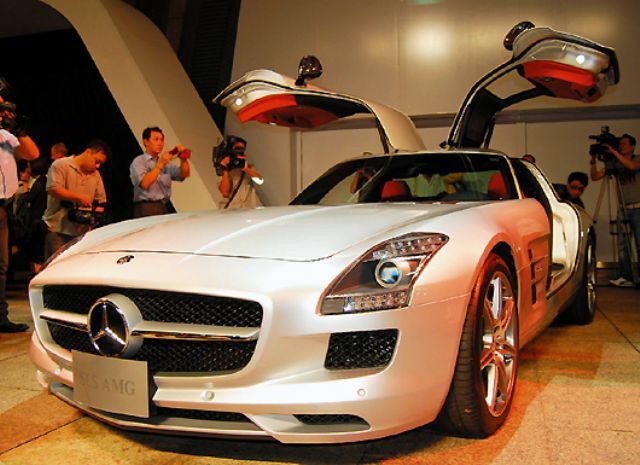 Mercedes-Benz again led import brands in Taiwan in 2014 by selling more than 19,000 units. (photo from Mercedes-Benz Taiwan). Another phenomenon was the absence of the high-low-month effect. In the past, most buyers typically purchase new cars in the first half (for higher resale value), but, in 2014, strong demand endured from January to year-end. Hotai said even December saw buoyant sales, with 13,798 new cars licensed in the month or about 2,000 units more than expected, likely due to most buyers wishing to received new cars as soon as possible rather than delay to early 2015. Huang Ming-hsian, Hotai's assistant vice president, said the year-end purchase willingness was driven by the 10-year replacement cycle, longer new-year holidays, and slipping fuel prices. Up 7.2% YoYSome 41,799 new cars were licensed in Taiwan in December 2014, a 7.2% year-on-year (YoY) increase, according to statistics compiled by the Ministry of Transportation and Communications (MOTC). New-car sales in Taiwan last year outstripped the original forecasts made by the top-two automobile conglomerates on the island, Hotai and Yulon, which predicted that the year-end total would be 415,000 to 420,000 units. Post-election and plummeting fuel price effects drove demand for performance cars, multi-purpose vans (MPVs), sport utility vehicles (SUVs), and full-sized passenger cars. Leveraging the depreciating Japanese yen, some local Japanese-car vendors provided incentives to further stimulate purchase willingness. Many industry experts forecast that strong demand will continue into 2015 to set another new-car sales record (or 10-year high). Trends in 2014In 2014, different crossover models with multi-functionality and lighter-smaller SUVs with mild cross-country function became a new market mainstream in Taiwan. As such Yulon's own LUXGEN found many buyers for its newly launched U6 crossover and achieved record annual sales volume since the brand's establishment more than three years ago. Other models in the expanding product segment included Toyota RAV4 (best-seller in segment), Honda CR-V, Mitsubishi Outlander, Hyundai iX35, Ford Kuga etc. More specifically, according to MOTC's statistics, sales of SUVs in December, 2014, increased 27% YoY and 75% month-on-month (MoM), the highest growth rates among all segments. The segment expansion implies, according to industry experts, that local consumers no longer consider fuel efficiency as top priority due to falling fuel prices, instead opt for more spacious and higher-performance cars. Japan-vs-Europe in 2015Competition between Japanese and European car vendors in Taiwan will intensify in 2015, industry sources say, and the battle is just heating up. The cheaper Japanese yen has helped strengthen cost competitiveness of Japanese models, imported and locally assembled, with Japanese-car vendors to work harder to import more products to the island to diversify product lineup and expand a customer base. Mazda Taiwan, for example, used to locally produce the popular Mazda 3 sub-compact sedan for local sales, but has turned to directly import the re-styled Mazda 3 from Japan to have immediately won 1,200 firm orders (outstripping the local subsidiary's annual quota for the model). That, industry sources say, shows the coming of a new trend where local Japanese-car vendors will introduce and sell more imports. In addition, CMC (agent of Mistubishi), Hotai (Toyota and Lexus), Yulon Nissan (Nissan and Infiniti) have been aggressively strengthening import lineups, targeting to win shares from European counterparts that have long dominated the import-car market in Taiwan. Euro-car Sales in 2014The top-two import brands in Taiwan, Mercedes-Benz and BMW, sold about 19,300 and 16,900 cars on the island in 2014, leading many brands with locally-assembled models; while VW also sold about 13,400 units last year. With better brand image and rising cost competitiveness thanks to the depreciating euro, sales of European imports have been increasing in recent years. However, industry insiders say, many European brands have not reduced prices even though the euro-U.S. dollar exchange rates have dropped to recent-year lows, attributing such a phenomenon to relatively-low price sensitivity of luxury-car buyers.